Pa Baker Framboise is another startlingly great recipe from Pa Baker which uses a sweet raspberry undertone blended with a secret vanilla recipe all perfectly sitting on top of the Pa Baker flavour base. Its creamy fruity and aftertaste amazing. We are told that the blend of sweet raspberry is mixed perfectly with other background fruits that create a raspberry taste like no other….and we agree! WHAT IS PA BAKER FRAMBOISE E JUICE LIKE TO VAPE? Vaping this e juice flavour is like eating a raspberry french cheesecake dessert. On inhale your mouth is filled with the fresh ripe raspberry surrounded by a rich creamy and crusty tasting cheesecake. The taste really excites and tantalises the taste buds as the flavour matches the real thing on a like for like taste. The raspberry is the foreground flavour but the sweet crusty vanilla cheesecake is very close to it and the blend really works well as a whole flavour. 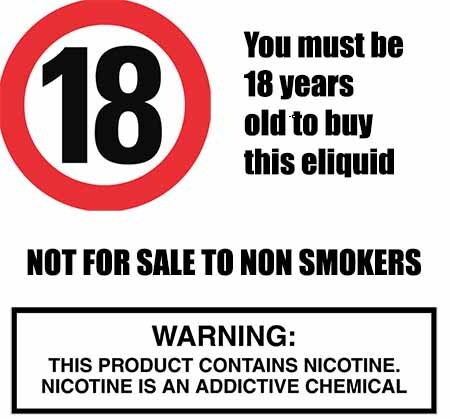 The Vape Shop only produces the very best in UK premium vape liquids and we make sure that all our e juices DO NOT contain: - Diacetyl, Acetoin, or Acetyl Propionyl, refined sugars, protein, genetically modified ingredients, animal ingredients of any kind, preservatives, sweeteners, or colours. Is Vaping Pa Baker Framboise eJuice Vegan & Vegetarian Safe? Don't worry, we only produce premium UK dessert e liquids that are gluten free and suitable for vegetarians, and vegans. You can rest assured when purchasing this raspberry dessert e liquid flavour that it contains only the purest ingredients.